We apologize, but currently the Respironics Dreamwear full face mask and Dreamwear cushions are on a manufacturer backorder that will last through November 2018. Partial orders will be shipped as supplies become available from the manufacturer. If you have any questions, please contact us at Reorders@godasco.com. Serving Ohio and Surrounding States! 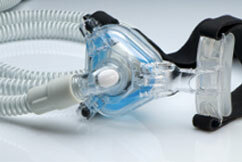 At DASCO, our mission is to help people breathe, sleep and feel better. Discover just how many ways DASCO can help you. 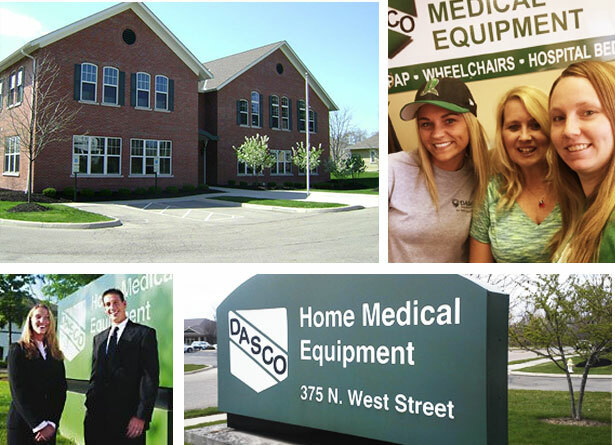 DASCO is a family owned company, helping families in need of home medical equipment since 1987. Our home office is located in Westerville, Ohio with several branches throughout Ohio, West Virginia, Kentucky and Indiana to serve you. DASCO was established in 1987 by Don Seeley and is now owned by his children, Jason and Rachel. "At DASCO we believe in providing a level of service that exceeds expectations!" Helping People Breathe, Sleep & Feel Better! 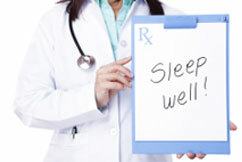 At DASCO, we want to make sure you are spending your nights as you should, sleeping! 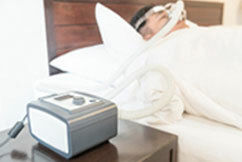 Our highly trained Respiratory Therapists will oversee your home respiratory care from beginning to end. Our health care professionals do in-home education and evaluations. Caregivers and physicians will be kept informed as to how patients are doing with the respiratory services they are using.